This book is not for entertainment purposes but is intended to engage and perhaps enrage the currently religious. We live in a society that is seeped in Christianity. Yet most of us do not believe in what we remember is the message of the churches. Nor should we, for it is based on dogma that is unfaithful to the original. Our world is in need of something new. We are in dire need of a new paradym for living. This work is a short visit to the foundations of Judaism and Christianity, showing where we have been, the changes made and why. This shows us hope for the future as well as sadness for the past. In all ways, we need to use our brains, for our spirituality must make sense. For centuries we have assumed that belief and reason need not connect. This is a lie for many of us and this book, above all, is a call for us to think, debate and share for only in these ways do we grow in spirit however we understand this. This book challenges and guides. Anthony Gifford spent 20 years as a Minister in the United Church of Canada – and has since been a rancher, teacher. sailor, and restauranteur (where he feeds the body as well as the soul) He challenges you to think seriously about your religion and to join him on this critical journey. 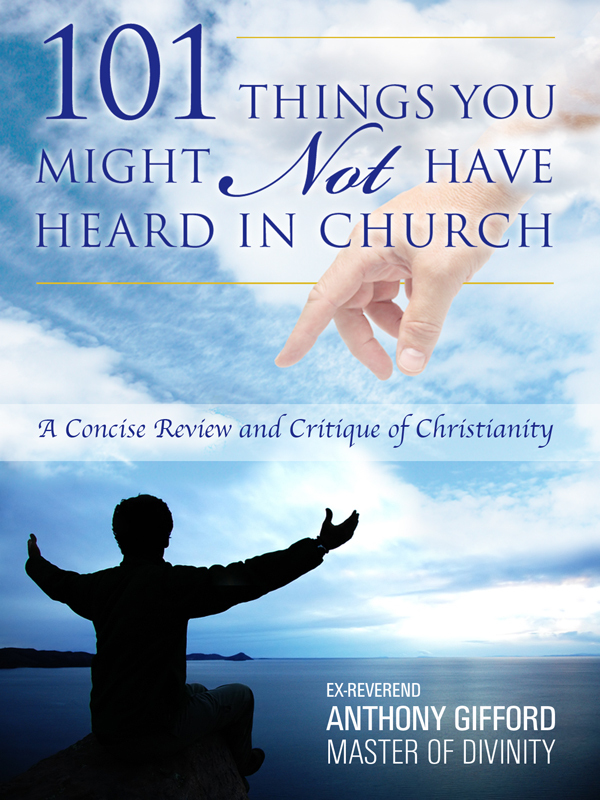 You can purchase the book online from Amazon at http://www.amazon.com/Things-Might-Heard-Church-ebook/dp/B009XH67X0. Cover design by Shelley Glasow Schadowsky.